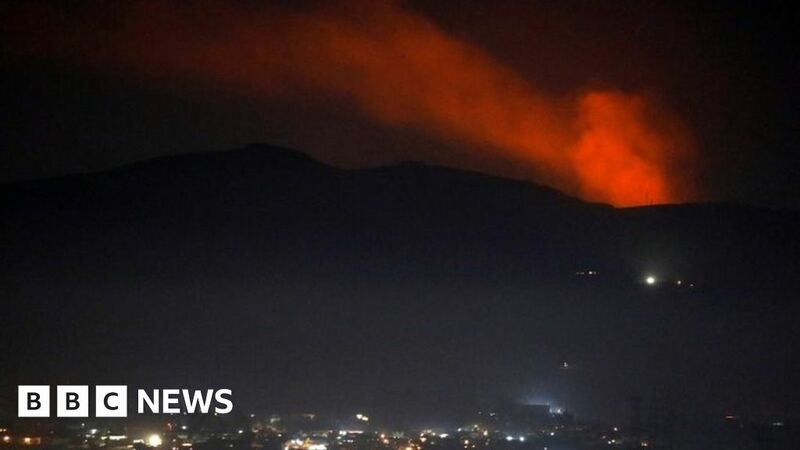 Close to the Syrian capital Damascus, loud explosions were heard overnight, during which the Syrian military spoke about Israeli air strikes on a weapons depot. A Syrian military officer told the state media that the camp had been hit and three soldiers injured. Syria said most missiles had been intercepted. Israel has not confirmed the strikes. It said it had activated its air defense systems to launch a Syrian rocket. There were no losses or property damage in Israel, the military said. Late on Tuesday released Syrian state media footage of a moving object Damascus is intercepted. There is a loud explosion followed by an outbreak of artillery fire. The IDF later tweeted that its air defense systems had been activated "in response to an anti-aircraft missile fired from Syria." Israel has repeatedly targeted Iranian and Hezbollah locations in Syria, which it points out as a threat to its own security. Israel rarely admits such strikes. 1. 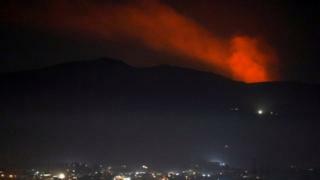 9007] The strikes came as rockets fired at Israeli military positions overnight in the occupied Golan Heights.